Deep Silver specializes in video game publishing has been in the industry many years, having released over 200 games since its formation 15 years ago. 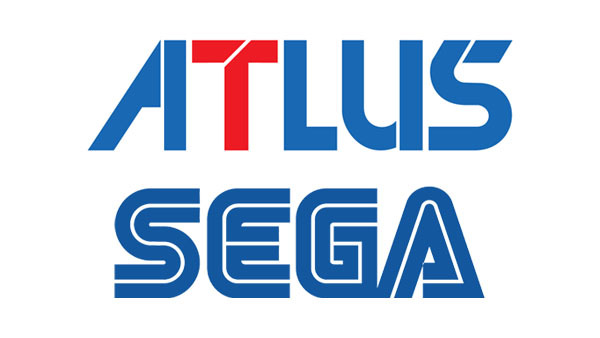 Some notable titles they have published include Persona 5 and the Dead Island series. They will also be publishing Yakuza Kiwami outside Japan and the upcoming crowdfunded medieval RPG, Kingdom Come: Deliverance. Also of note is that, since 2016, Deep Silver has been collaborating with Sega of America and its subsidiary Atlus to handle publication of a number of software titles, especially Japanese titles with their tendency for physical rather than digital-only releases. (Thanks to Dennis Stachel for highlighting this relationship for the previous blog post). One title that invariably gets raised in connection with Deep Silver is their publication of the ill-fated Mighty No. 9. It didn't help that one of the marketing trailers was not met favorably, which included the now-infamous reference to an "anime fan on prom night". 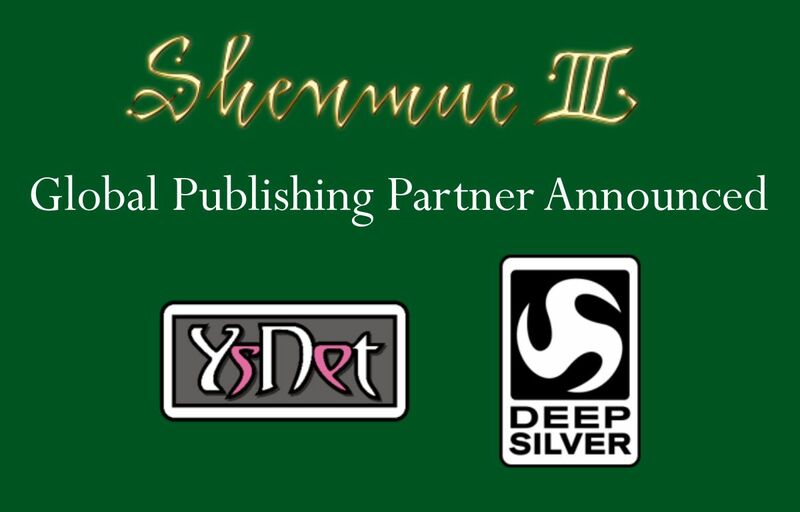 However there will always be blips in the record of any publishing company, and it's important to keep a balanced perspective in terms of the benefits this brings for Shenmue III: access to Deep Silver's global publishing network and experience in marketing and publication. 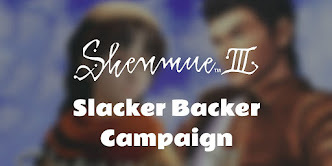 This should mean greater potential exposure for Shenmue III and copies in more people's hands. 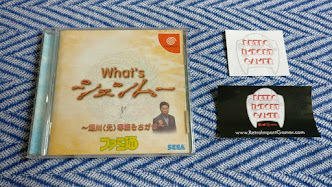 So where does this leave Shibuya Productions and Sony in relation to Shenmue III, given this new appointment? 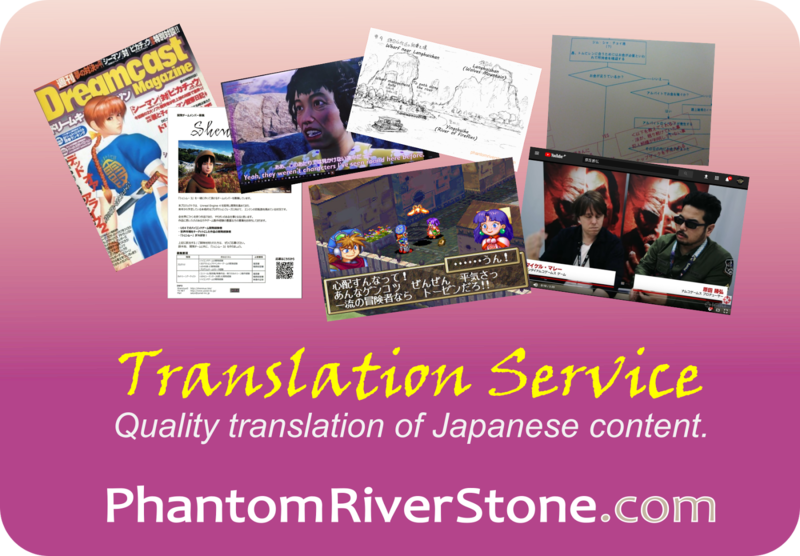 In short, both retain involvement with the project. When asked recently via Twitter, the head of Shibuya Productions Cédric Biscay replied to clarify that his company is not involved as a publisher, but as producer of the game. (And of course, it is also Shenmue III's primary investor). 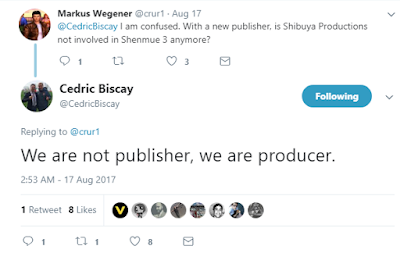 Tweet from Cédric Biscay regarding the role of Shibuya Productions with Shenmue III. The YS Net press release (PDF) for this latest announcement contains a positive message from PlayStation’s Third Party Relations & Developer Technology Group, which I interpret as a reassurance to backers that Sony remains involved and are not withdrawing their support in any way. Will Deep Silver have any creative input on the game in their role as publisher? Is any additional funding being provided by Deep Silver? More information on their relationship and influence on Shenmue III will no doubt be coming out at or after Gamescom. 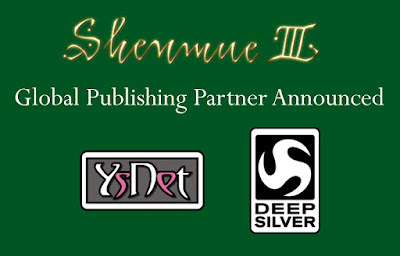 Leave your thoughts on the new publishing agreement with Deep Silver below! Besides the promo art - which I assume was quickly slapped together by Deep Silver - I am very curious about Deep Silver's involvement with the project itself as well. Why was there such a strong reaction by people - more specifically - the mods on Neogaf regarding this news? It sounds like they know something we don't. As always nice analytic post and I am sure time will reveal all queries. I wouldn't pay the GAF mods much attention. They don't really know more than any of us, and frankly, they were having a pretty unjustified knee-jerk reaction. As Switch's post above says, Deep Silver as a publisher has put their name to good games, and bad ones. That's just a part of being a publisher, and nobody has a solid gold record. To assume Deep Silver's name on the project means a kiss of death is unfounded, and honestly? They may be mods on GAF, but they're as susceptible to short-sighted, reactionary posts as any other gaming forum member. Thanks JC and Spaghetti for your thoughts. Yes, extreme reactions without full consideration seem to be the thing these days for whatever reason. Right - it's not logical at all to write them off.